Recent years have seen a revolution in the field of working with people who have learning difficulties—both professional understanding and user expectations about services and the ways they are provided have been completely transformed. 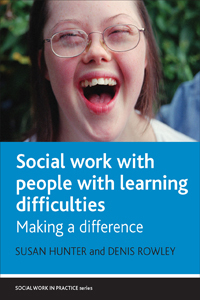 This book offers up-to-date case studies, examples from practice, and points for further reflection, all aimed at people who are learning to work with those who have learning difficulties. It offers a close examination of the role of services and social workers, emphasizing person-centered, one-on-one, and community-focused approaches.